Tnx as always to Cara for running such great series for us all to partake in! Greetings, folks! Apologies for just now getting a post up here this week. It’s been a surprisingly busy last few days! But I’m back today with another guest review for my Resolutions series. In fact, I’m back with someone who was just here last week to discuss We Need to Talk about Kevin (which you can read here). I am particularly thrilled about this choice though because it is definitely outside of his comfort zone but so, so in mine. Mr. MovieRob is back for round two with a scary movie! Let’s see what he chose! 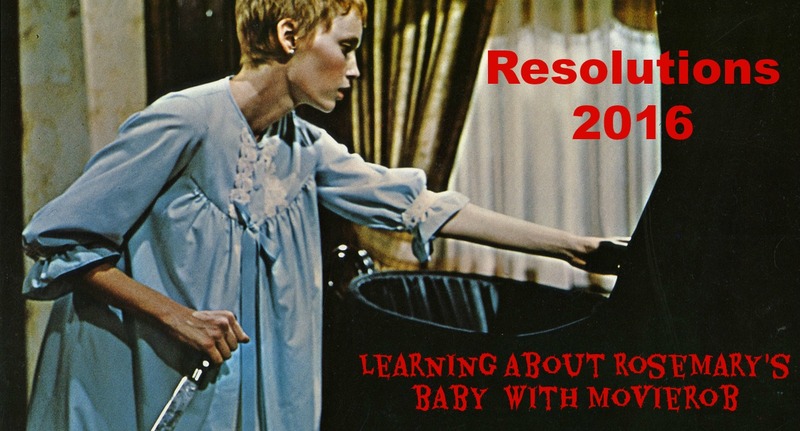 My Take on it –Once again, I’m back with another Resolution for Cara. This time, I decided to tackle another very popular movie that so many people have always been shocked to hear that I had never seen. Being that I generally stay far away from horror films, this movie has stayed stagnantly on my must watch list for quite some time, never moving up the list because of my concern as to whether I would enjoy it. For Cara, I decided to finally take the plunge and check out a Roman Polanski horror/thriller from the late 1960’s. I actually must admit that after seeing it, I’m not sure that this can be considered an outright horror movie, but rather more of a thriller with a supernatural slant to it. I knew the basic premise and therefore wasn’t too shocked when certain events happened. It’s quite possible that back in the late 60’s, these kind of scenes and themes were considered much more taboo or shocking than they are nowadays. I liked the way that Polanski shot the most famous scene where both we and the main character are not 100% sure what is real and what is not. In what seems to be a recurring theme for me in this series this year, I’d also like to point out that as a parent, certain aspects of the movie bothered me much more than they would have years ago. The whole process of deciding to have and carrying a child for nine months is really felt here because of the anxiety of the characters and their wishes and hopes for everything to be alright especially during difficult stages of the pregnancy. I liked the way that the ending is left a bit ambiguous leaving the moviegoer to decide certain things for themselves. I haven’t read the book this was based on, but I’m actually now curious to know whether the ending of the book is also done like this. Once again, the themes explored in this movie are very dark ones and despite liking this film, I can’t see myself going back to watch it over and over or even again in the near future. I’m glad that I finally got to see this movie and I might’ve continued pushing it off if it wasn’t for list great series by Cara, so kudos to her again for her insistence that this series continue every year! Very glad you gave this one a chance, Rob! It’s one of my favorite classic horrors, that’s for sure. And see? Horrors aren’t so bad, right? 😉 Anywho, hopefully I’ll be putting up a review from yours truly tomorrow, but if not definitely expect another guest review on Friday. Either way, see ya soon! Greetings, folks! Apologies for just now getting a post up here this week. It’s been a surprisingly busy last few days! But I’m back today with another guest review for my Resolutions series. In fact, I’m back with someone who was just here last week to discuss We Need to Talk about Kevin (which you can read here). We have this in our collection. 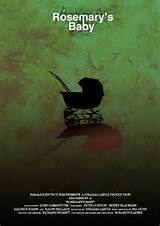 It is indeed a very disturbing movie, because it involves an unborn child. Funny thing is, I found the presence of that old woman scary. One of my favourite films of all time! Off to read your review!